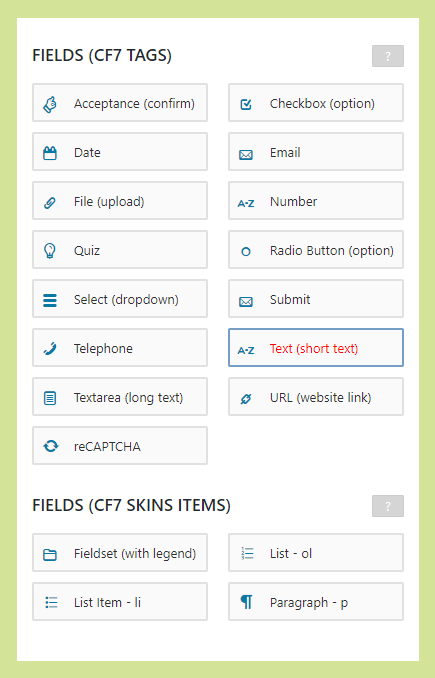 The CF7 Skins Visual Editor provides a visual way to build your Contact Form 7 forms. Using the visual editor, you don’t have to worry about writing complex tags. 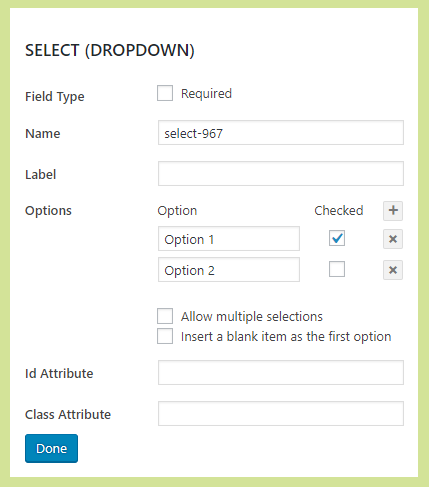 Simply drag and drop form fields to create your form. You can edit the form elements quickly & easily to adjust them to your needs. It has never been so easy to create Contact Form 7 forms. The CF7 Skins Visual Editor brings drag & drop editing to Contact Form 7. The visual editor contains all the tags available in Contact Form 7. 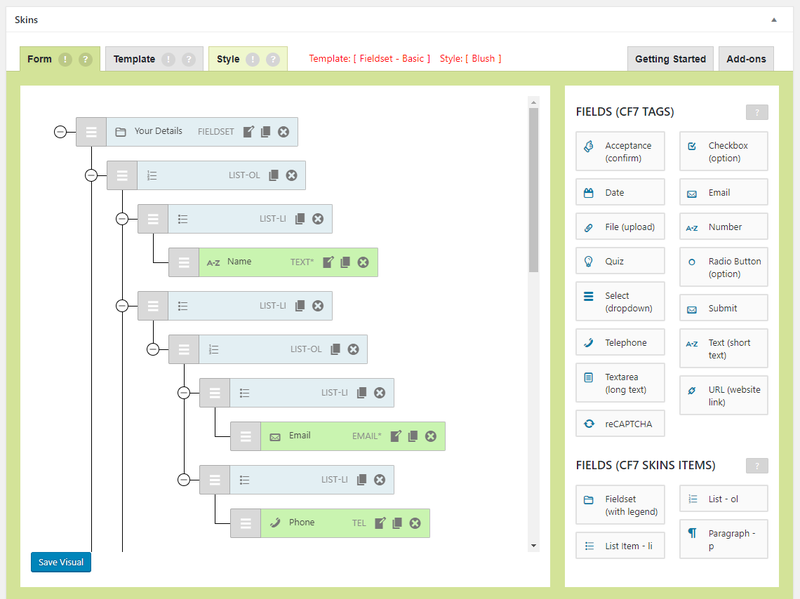 Our helpful visual tools speed up building of complex forms. Our CF7 Skins Visual Editor works with all the innovative features championed in CF7 Skins including Templates & Styles as well as integrated support for Fieldsets & Lists.